The 25 men competing in the Olympic marathon swimming 10km final today will barrel into the finish that was designed and created by Omega Timing. The finish pad has an electronic timing and high-speed cameras to measure and record the time and placing of the athletes. The Open Water Gate sits upon two massive floats, another custom-designed product and innovative service from Omega Timing. 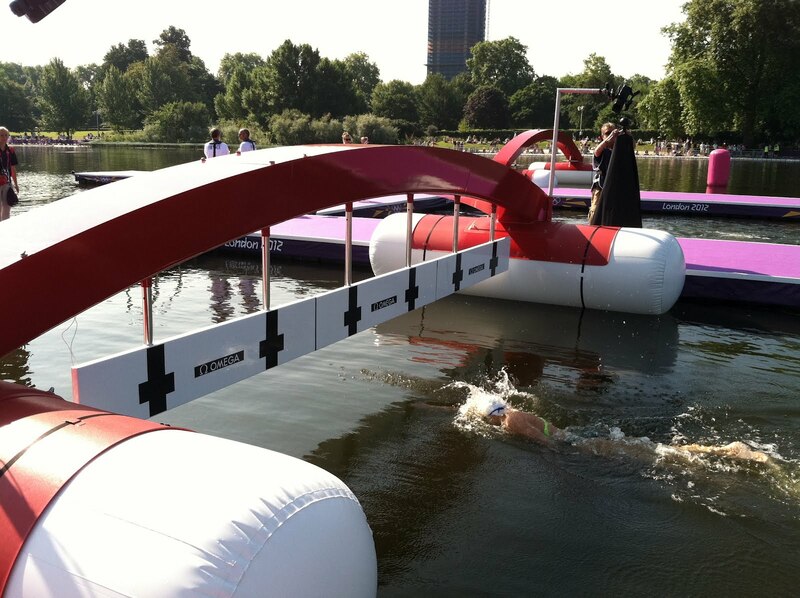 The Open Water Gate makes open water swimming events more accessible to the media and spectators by using transponder technology and high-definition cameras to provide split times during open water swimming competitions. The swimmers wear transponders on both wrists. 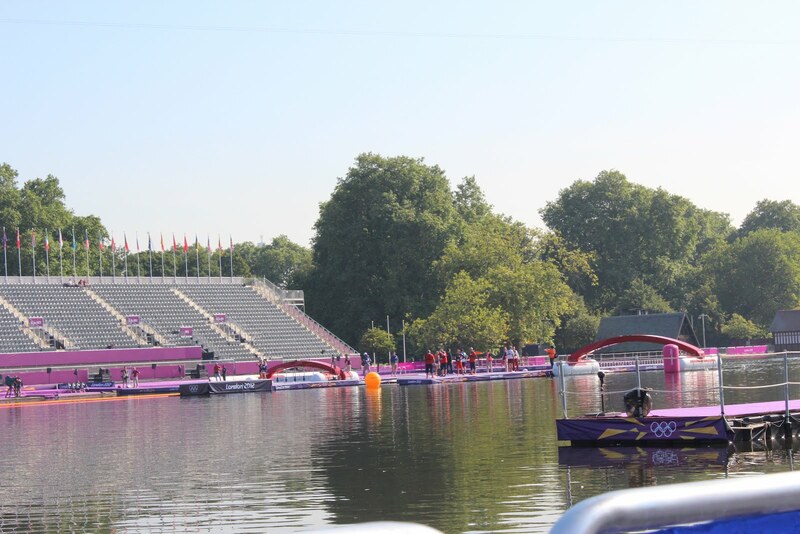 When the athletes pass under the Open Water Gate, their times are recorded and displayed.